First snow came down on Friday. 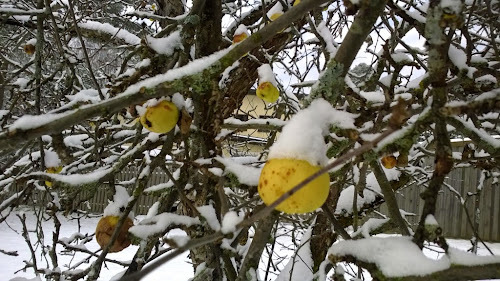 November became instantly prettier even though I don't really like snow per se. 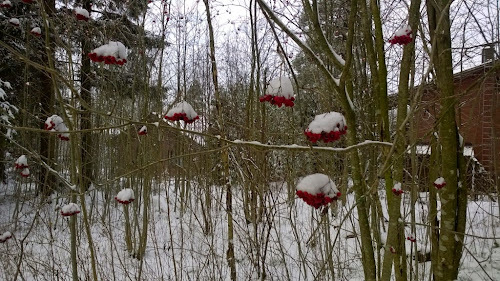 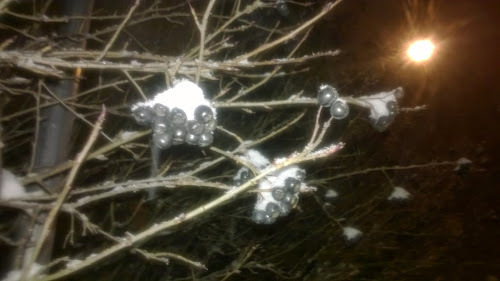 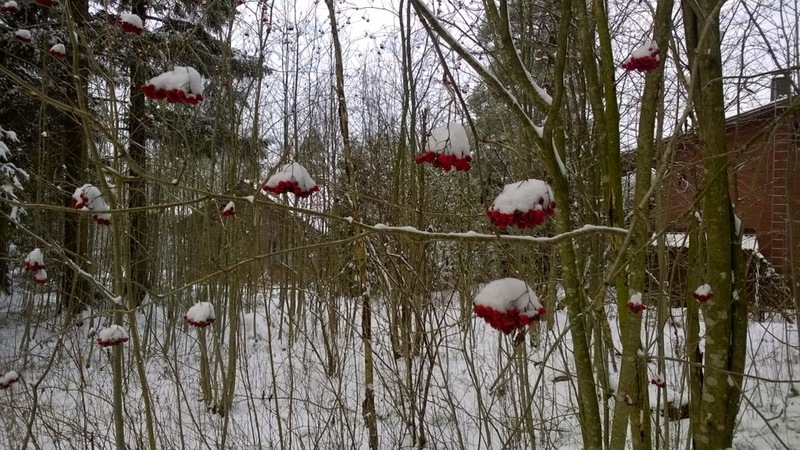 The snow came down thick and wet, as the temperature was only right there at zero degrees C. It piled on berries and apples that are still hanging on to their tree branches. 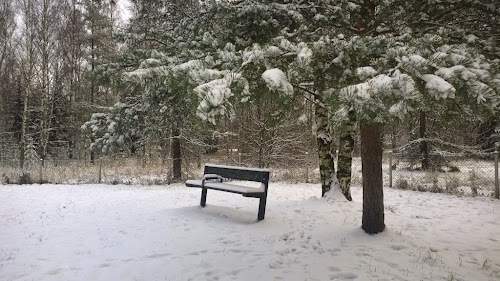 It was a fluffy 10-15cm that is bound to be gone by Tuesday; the temperature is already on the plus side again and should climb up to +5C or so according to the weather forecast. These November snows rarely stay on the ground for more than a few days.